After 6 lessons I had with a previous instructor I decided I wanted to change, therefore I chose to go with Mark as he came highly recommended in my local area. I started learning with Mark in June 2017 and passed first time with 7 minors in October 2017. Driving did not come naturally at first but I found Mark's style of teaching was supportive and effective. For example; reading material was sent over email, use of visual examples on the iPad, use of reference points and practical demonstrations - for someone like me who is a visual learner, this was highly beneficial. 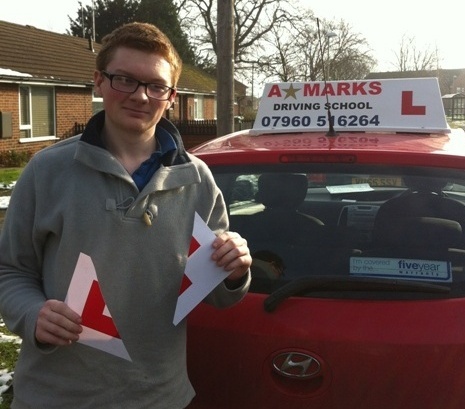 Mark is a calm and fair instructor and I will recommend him to anyone who is looking to learn to drive. 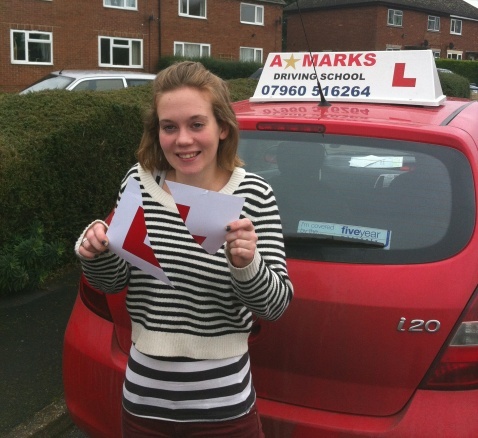 A* Mark’s Driving School guided me past some pretty nasty habits I’d picked up and got me into a position to pass my test within 3 months of lessons. Mark was direct and clear in his instruction giving and I found the use of apps on his iPad helped in explaining how to perform manoeuvres. Plus the email service he uses greatly aided the process of learning the “Show me and Tell me” question in the test. 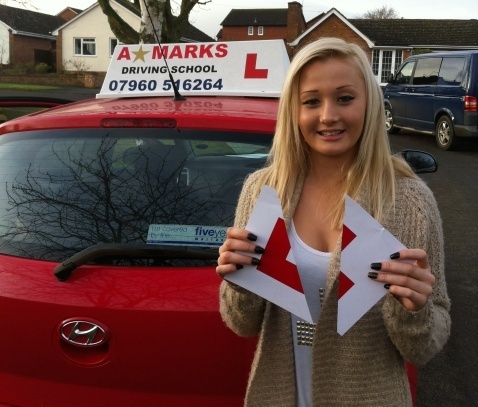 I passed my test first time during November with only 5 minors. During the learning process Mark was really patient and explained things clearly and if a mistake was made he would explain what I did wrong and tell me how to improve, but also demonstrate the correct way if I didn't quite understand, which I found really beneficial. 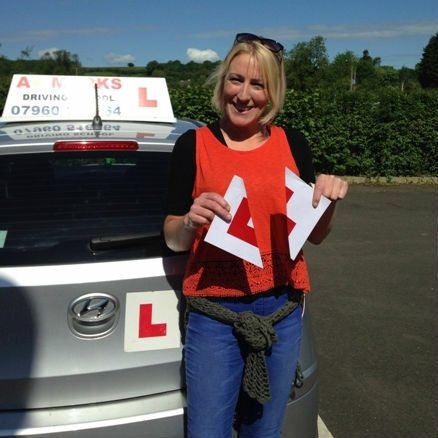 I really enjoyed learning to drive with Mark as he was always calm and made the lessons enjoyable which made me feel more at ease, as learning to drive can be quite scary at the start! 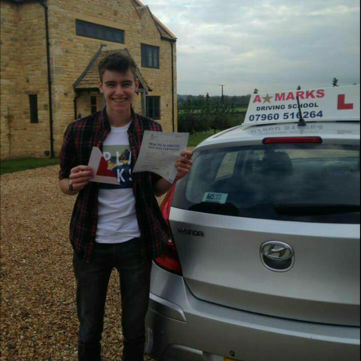 I would highly recommend Mark to anyone who is thinking about having driving lessons. Thank you once again Mark! I am still trying to comprehend how I have passed first time, zero faults?! Some might say it's luck, they're right. I consider I am lucky to have found a great driving instructor. I highly recommend Mark without a moment's hesitation. I can only say positive things about Mark. I was an incredibly nervous learner and Mark very quickly put me at ease. I found Mark to be very clear and concise in his instruction and it shines through that he is passionate about his job. I only had one available time slot every week and he managed to fit me in, he was never late and utilised every minute of the lesson. 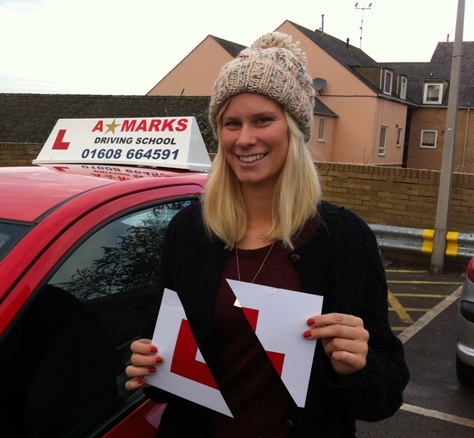 I can very highly recommend Mark and I thank him very much for giving me the skills to pass my test first time. 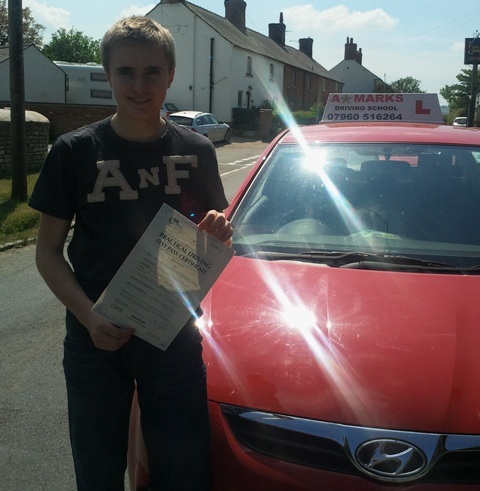 Mark really helped boost my confidence as a driver, I felt at ease during every lesson I had with him. 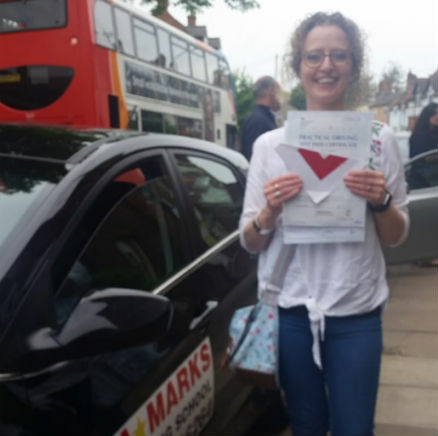 I was quite nervous about the whole process of driving when I first started as I had a different driving instructor to start with but I never felt comfortable with her and I felt like I was getting no where with my driving but that all changed the minute I got in the car with Mark. He really helped me overcome my worries. He was positive and constructive throughout and his way of teaching is the reason I managed to pass my test. Thank you Mark! 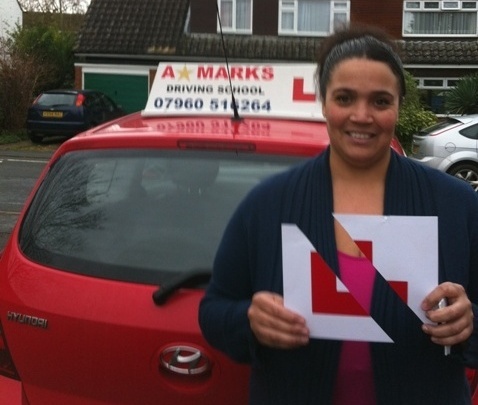 I had no previous driving experience before coming to Mark for lessons. I was understandably very nervous for my first lesson with mark. But he was very clear in his instruction going over the basics and very calm and understanding that it was my first lesson. Going over the manoeuvres his knowledge in and instruction is second to none! As well as all the aids he uses to assist in learning them and what you should be doing, these were very helpful indeed! 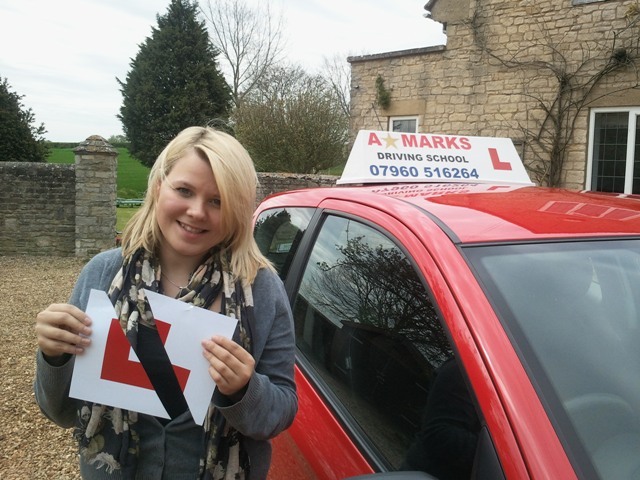 I have just passed my test first time on the 26th of April first time and with only 17 hours of lessons under my belt! I can't begin to thank him enough as I'm certain I wouldn't have been able to do that with anyone else!! Highly recommended to anyone who is learning to drive, no matter what stage they are at! Thank you so much Mark!! 10/10! Mark is always on time (to the second! ), and was very supportive throughout all of my lessons, he was very understanding towards me if I ever didn't understand anything or needed clarification. He briefed me very well for all of the manoeuvres and made sure I was comfortable with them all and made sure we went over everything in the tests multiple times over the last month ! I passed my driving test first time with 7 minors after 3 months on the 1st June 2017. I would highly recommend him to anyone who's looking to learn to drive! I passed first time with 3 minor faults on 31st July 2017 with Mark as my instructor. Whilst learning to drive, I felt completely at ease and not scared to make a mistake as Mark was always patient and went through with me how to improve. I found the way he explained the maneuvers very helpful and easy to follow as he went through the steps and offered to demonstrate, which helped my confidence and improved my driving skills. Many thanks. 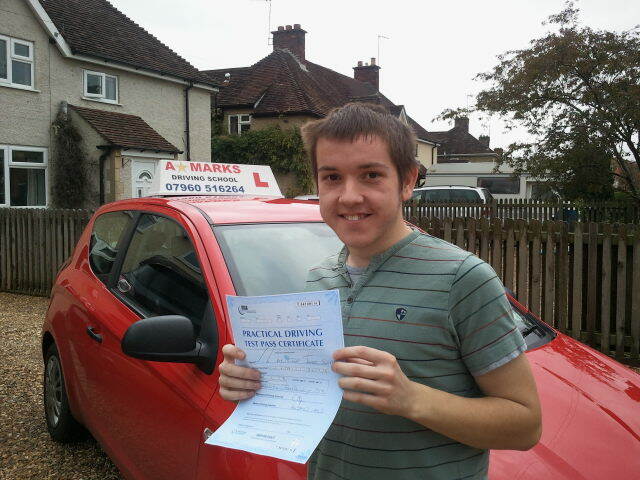 I passed my test first time with six minors and just 21 hours of lessons from Mark. Mark is a superb teacher who is calm and thorough in his teaching. His excellent personality makes it very easy to relax, as learning to drive can often be daunting. When I was struggling with something, we were patient, and worked on it until it improved. I would thoroughly recommend Mark to anyone. He has now guided my younger sister and I to first time passes and will certainly be teaching my youngest sister in a few years! 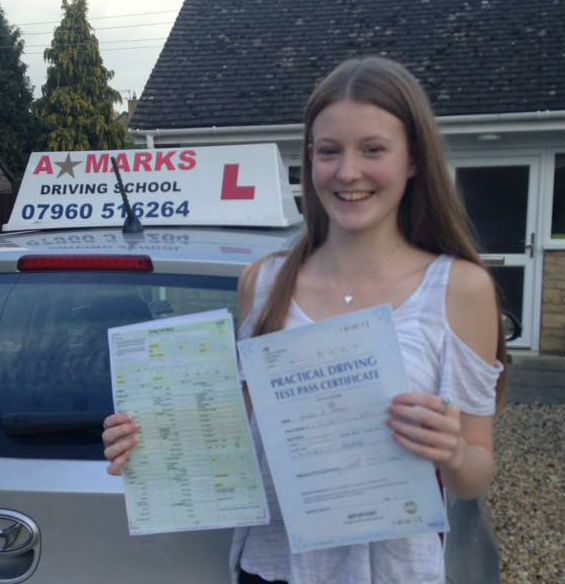 I passed my test on 26th July 2016 in Banbury test centre with 5 minors with Mark Williams as my instructor. I enjoyed my lessons very much with Mark as he explained manoeuvres/instructions very clearly and stayed patient when I did not understand something or made a mistake. Mark made me feel very relaxed and calm in the car as he never shouted at me when I made a mistake for example and just asked me what I thought I had done wrong which helped me to think for myself and then correct the mistake. Mark would ask if I wanted a demonstration of how to do the manoeuvres which personally helped me a lot as a way of watching someone else do it before I did it. I believe that I passed first time due to the fact that Mark encouraged me to keep practicing my driving skills outside of lessons, explained everything in a way that I could clearly understand and made me feel more confident in my ability to drive. Just before my test I was very nervous and Mark put me at ease and made me believe in myself, I would thoroughly recommend him to anyone. 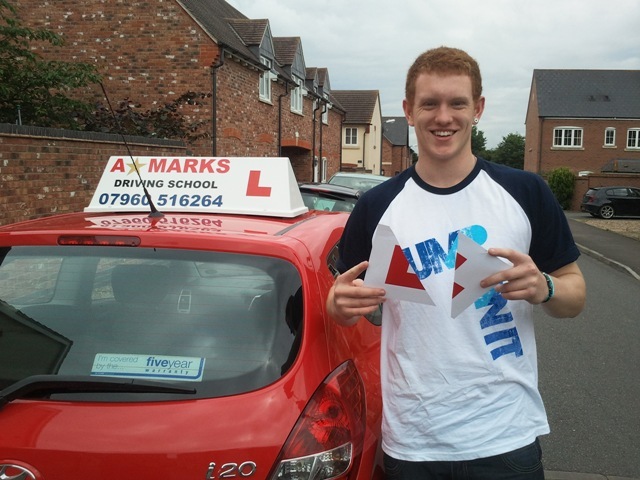 A* Marks was an incredibly enjoyable experience and I felt very well supported. After each lesson I was sent emails in relation to what I had achieved that day which gave me great confidence that I was on my way to a successful test day. Mark was always patient with me even if his safety may have been at risk and overall I would recommend him to anyone. 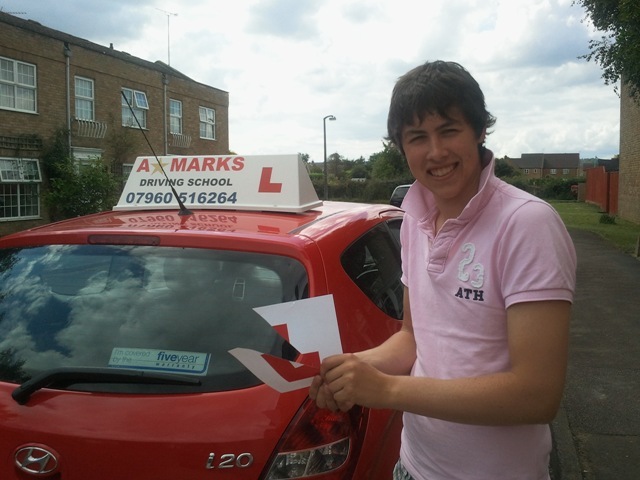 Mark was a really good driving instructor and enabled me to pass my test first time. He is always very calm and reassuring which makes the learning process so much easier and any questions that I had I always felt I could ask. For me what really helped was Mark also giving demonstrations of what to do if I was struggling with any aspect of driving so that I could see exactly what I needed to do. I would definitely recommend to anyone interested in learning to drive. Thank you Mark! Mark is a fabulous instructor. I am not the most confident of people but he made me feel comfortable and at ease during the lessons. He understood that each person learns in different ways and has a number of different techniques to teach the different elements of driving. I would highly recommend him to anyone that wants to learn to drive. I passed on 21st October 2016 first time with 0 minor faults. Mark was a great instructor who made his students feel at ease and comfortable during lessons. I would highly recommend Mark as an instructor to anyone looking to begin driving, especially because the first introductory lesson was very good. I passed on 19/10/16 with 6 minor faults. 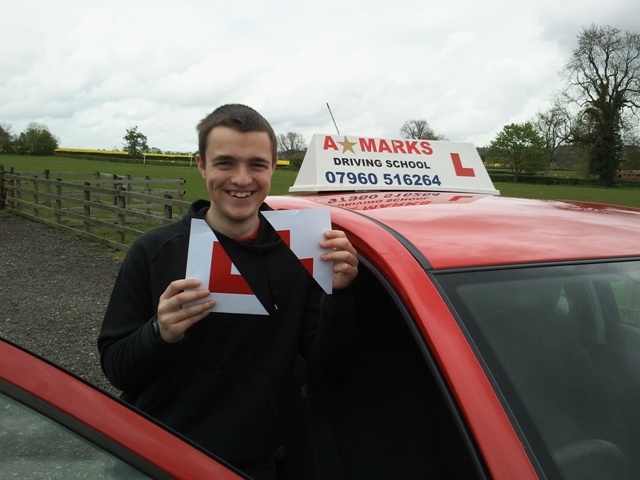 Mark was a fantastic driving instructor, so much so that I passed first time! He was also really patient with the learning process of the different manoeuvres! Thank you for getting me through my driving test first time! I really enjoyed all my lessons and you were very thorough making sure that I knew everything that I needed to know in order to pass. I would recommend you to anyone wanting to learn to drive. I found it very easy to learn with Mark. He explains everything clearly and gives you the chance to ask your own questions. He can give you demonstrations on what to do. 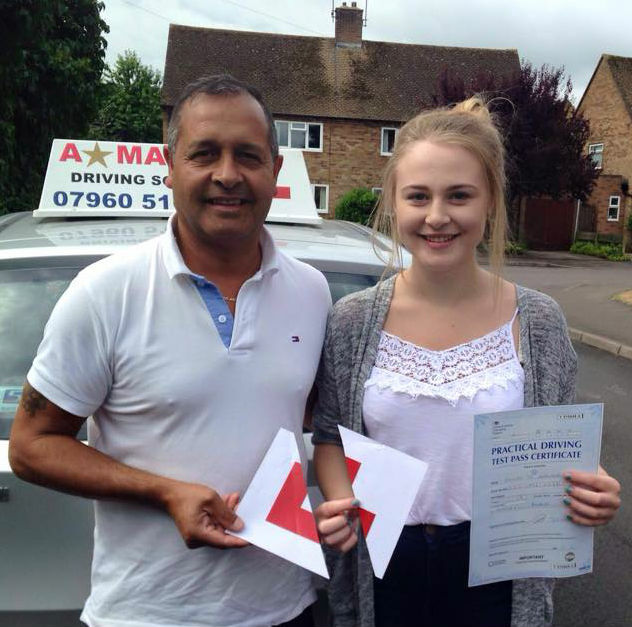 He has helped me to gain extra confidence with my driving and has also helped me to be a safe driver. I have already recommended Mark to many of my friends at school, and I will continue to recommend him. Thanks Mark for all your help!!! Thank you so much for helping me through passing my test! I'm chuffed to bits and couldn't have done it without your dedication. A reliable and patient instructor who will be recommended by me to many. I passed my driving test first time and it's all thanks to Mark. There's nothing else to say other than what a great instructor! Mark is so calm and is very helpful. I would have no problems recommending mark to anyone. 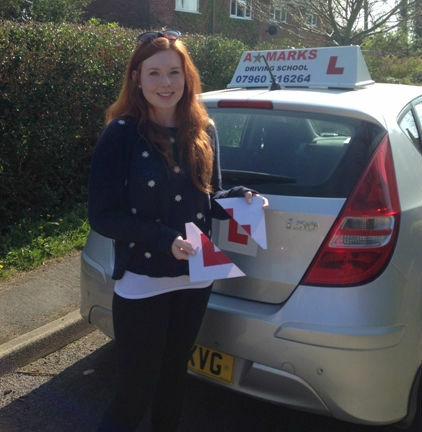 I felt completely at ease learning to drive with Mark and would recommend it to anyone in a heartbeat. I passed first time and can't thank him enough! He's always been patient and friendly and his instructions clear and concise. He made me feel comfortable and I knew I could always ask him anything. 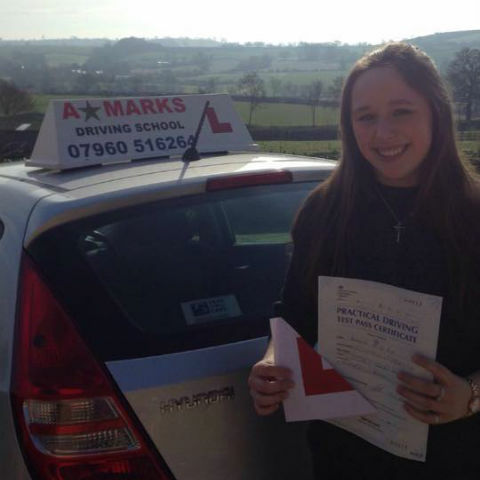 I had 29 hours of driving lessons with Mark Williams and found him a really good teacher. He was very patient and encouraging and his methods of teaching were very thorough and easy to understand. He made me feel very comfortable whilst learning and really helped build my confidence. I found him very approachable and so if I had any questions or concerns I felt I could ask him and could talk to him easily. 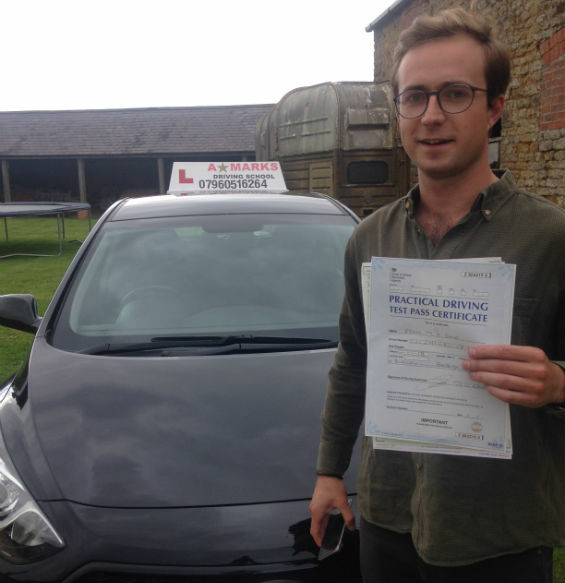 I would recommend Mark to anyone looking for a driving instructor as his teaching made it possible for me to pass my driving test first time with only 29 hours of lessons. Mark is a fantastic driving instructor. I was a very nervous learner and also 7-8 months pregnant, he made me feel at ease. Mark was recommended to me via a family member and i wouldn't hesitate to pass on his details to anyone who wanted a down to earth instructor! My son is already counting down the days till he turns 17 so he can book with Mark! 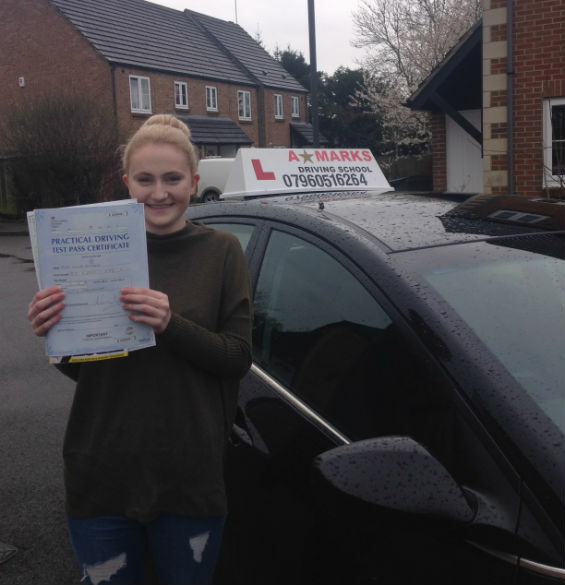 Mark knew how nervous I was the morning of the test but he told me to just relax and drive how I would normally drive and all would be ok.
Mark was a good instructor, he put me at ease during the lessons, I found learning to drive with him simple and straightforward. 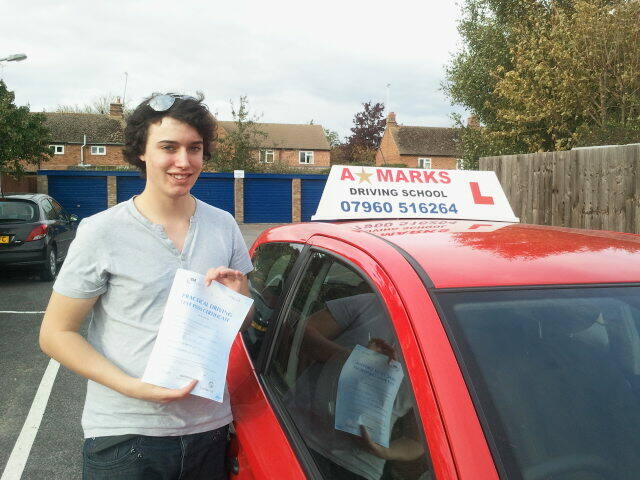 I want to thank Mark, for getting me through my driving lessons and helping me in passing my test first time. I had been having lessons with a different driving instructor before choosing to start again with A Star Marks and I am so pleased that I decided to make the change. Unlike my previous instructor Mark was patient, confident and explained everything thoroughly, a true professional. 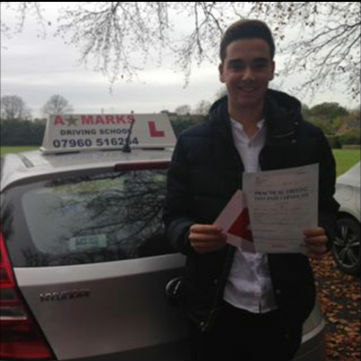 His positive attitude and the way he believed I could pass my test first time was very catching. 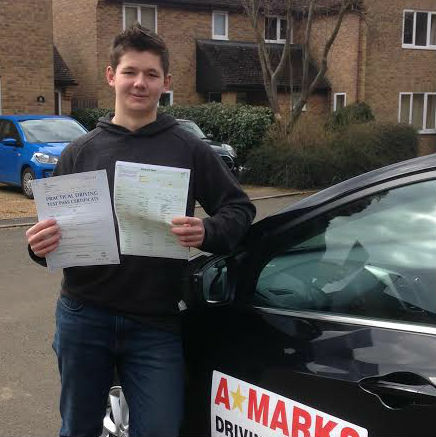 When starting my lessons with Mark I was not confident and most definitely didn't believe I would of been able to of passed my test, but as the date drew nearer I genuinely felt I could do it and that was all down to Mark. I can't recommend him enough and will be handing his name and number out whenever I can. Thank you again Mark. I found Mark to be extremely helpful in helping me to understand all the necessary terms and technics to help me pass first time. He was very happy to go over things if I didn’t understand and was always friendly and easy to get on with. He was always patient and understanding and would allow me time to go over anything I found difficult.He would always try and accommodate my lessons when convenient to myself. I would recommend Mark without hesitation. 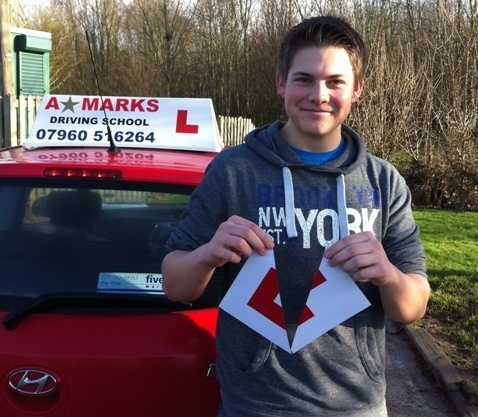 I have had quite a few driving instructors learning to drive and Mark was the best by far. Mark made me feel very at ease and was brilliant at supporting and encouraging me every step of the way. His driving methods are easy to understand and extremely helpful, his banter isn't too bad either! 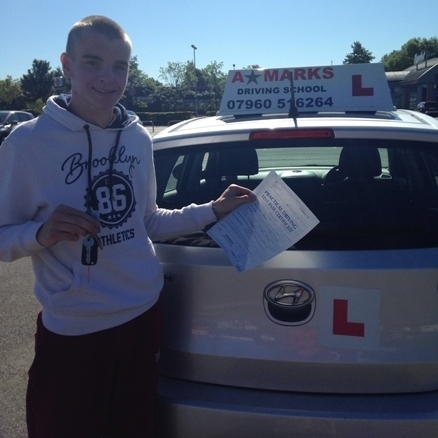 I learnt a lot whilst learning with Mark and as a result I passed my test with only 4 minors. I'd highly recommend him to all learners of all ages. 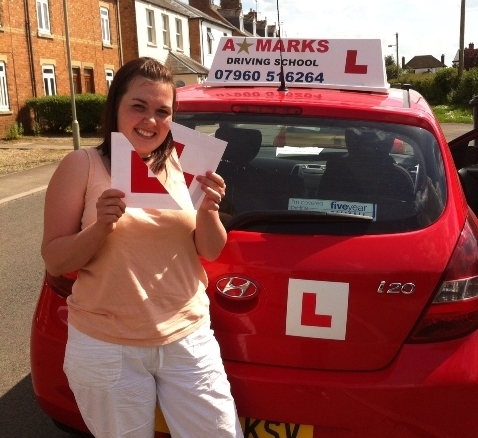 I really enjoyed learning to drive with Mark, as he always made me feel confident with my driving. 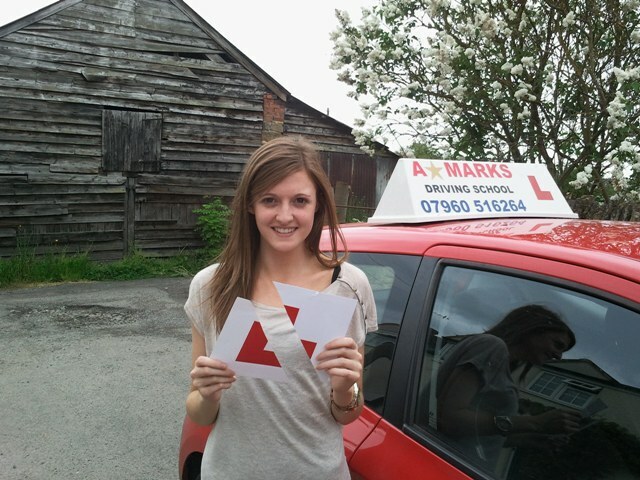 I always felt comfortable and able to drive safely and I would thoroughly recommend A* Marks to any learner driver. Thank you so much for teaching me to drive. I know I may have not been the easiest pupil but your persistence finally paid off. I genuinely don't think anyone else could have got me through it. I will (and have) recommend A* Marks to anyone! Thank you. Really want to thank you for all your help and hard work. 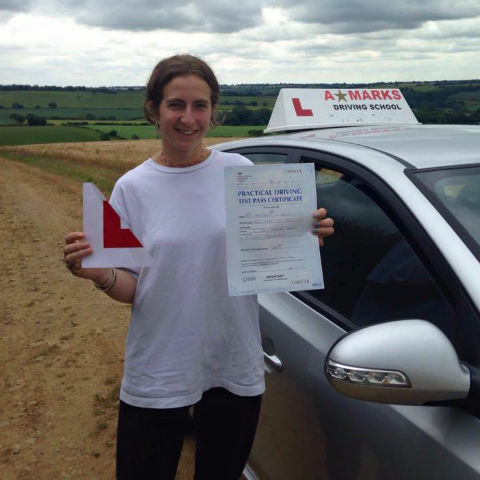 I really enjoyed learning to drive with Mark as he made the process enjoyable and gave me the confidence I needed to pass my test, as well as the knowledge and experience that will help me for life. He's a really patient instructor and I would definitely recommend him to anyone! My biggest challenge yet was passing my driving test. A massive thanks to you for making this possible. You have been a fantastic instructor with patience and understanding. I recommend this guy to anyone that is thinking of learning to drive. He is easy to talk to and gave me confidence and determination to succeed. I am happy, because I've got driving licence, so I am legal driver :))... I'm pleased that you were my teacher ...Thank you for HELP ME GET NEW SKILLS! I'll be RECOMMEND YOU MY COLLEAGUES and FRIENDS FOR DRIVING COURSE in the future. Mark gave me as much advice and guidance as I needed to enable me to feel comfortable and able to accomplish the situation at hand. Not forgetting the fact that he didn't give up on me when I made silly mistakes in previous tests. I am so grateful for this and would therefore highly recommend him to anyone who wants to learn to drive, and to anyone who wants to become a GOOD driver to choose A*Marks Driving School. P.S. Again thank you so much! 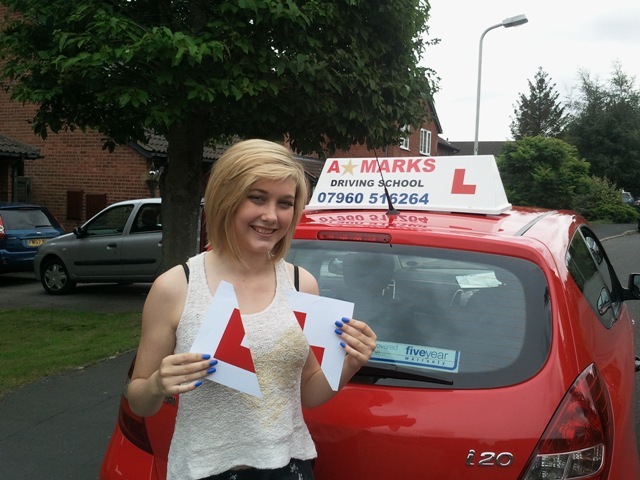 I would definitely recommend A*Marks to anyone learning to drive. Mark gives you the time to learn at your own pace and puts you at ease right from the start. 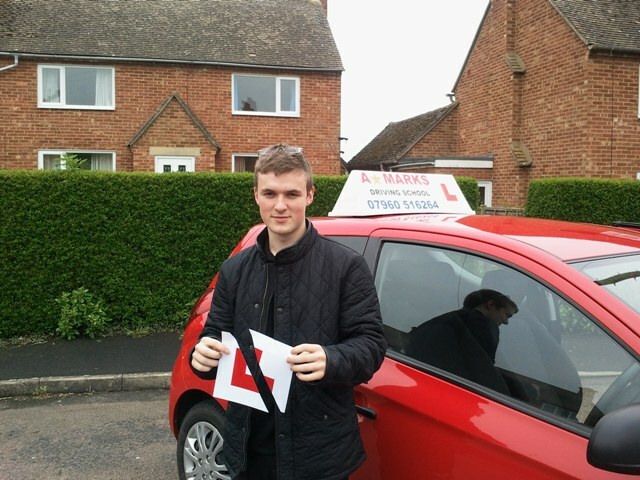 Thanks to Mark I gained the confidence and experience needed to not only pass my driving test but also driving for life and all the hazards that you come across on the road's today. You're the best Mark and it's been a real privilege to have been instructed by you. A massive thank you to Mark for getting me through my test, and for putting up with my nerves! 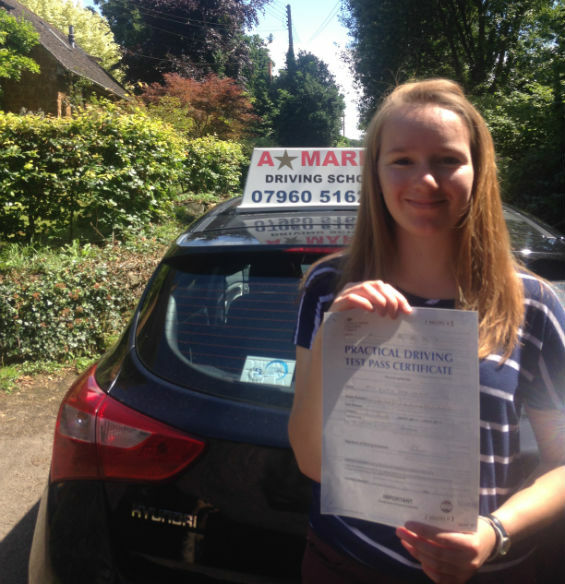 I wasn't the most confident driver when it came to the practical test but Mark was patient and never gave up on me; he taught at my pace and went over anything I felt less confident doing. Without his help I wouldn't have passed and I would recommend him to anyone learning! Mark put me at ease from my first lesson. He's a really friendly guy and he inspires confidence. I passed first time and much faster than I thought I would do. His lessons were not only informative but also very fun, I enjoyed the whole experience and would recommend him highly to anyone. Just like to say thanks for teaching me, thanks to you I passed with only 2 minors, don’t think I could have done it if you hadn’t calmed me down. Mark’s a great instructor, very patient and explains everything fully so I could learn quickly and stress free. I would recommend anyone to learn with Mark, he’s a great guy and brilliant instructor. Hopefully see you soon Mark. Thanks again! 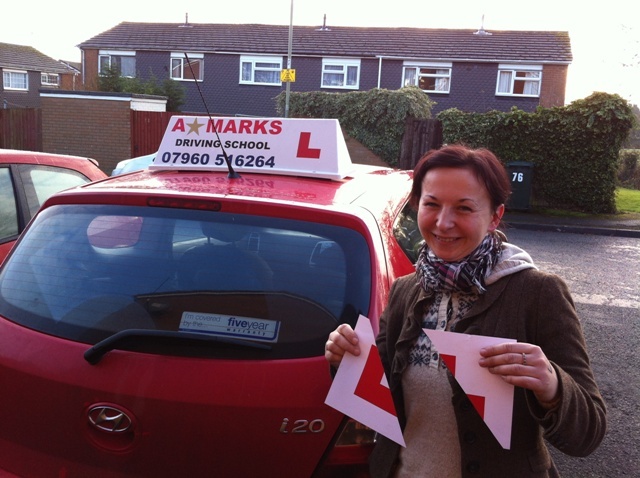 I did my driving lessons with Mark, I have recommend him to all my friends. He always made me feel calm and relaxed and was always a pleasure to have a lesson with him. I passed first time which I never thought I would but Mark made sure that my weak points became my straight points. Thank you so much once again couldn't have done it without you! Thank you for teaching me to drive! It's been an interesting experience, one without a boring moment! But you've been a top instructor, patient when I don't do this, or don't do that! Would recommend you to anyone, very good instructor. I would highly recommend A* Marks to anybody! Mark was fantastic!!!! 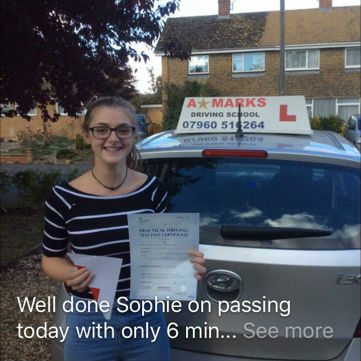 I managed to pass first time which I thought was going to be impossible for me! Mark was constantly patient with me and whenever I made a mistake whilst out on lessons, he always told me, 'Don't worry' and encouraged me to carry on, giving me the confidence I needed to pass my test! I couldn't have asked for a nicer driving instructor! I started learning to drive with Mark in September 2011, did around 1 lesson a week passed my test first time in March 2012 but I had to take a month or so off learning due to an injury. I also did my Pass Plus with him which also went really good. He was very helpful in telling me what I needed to do and things I needed to improve on. 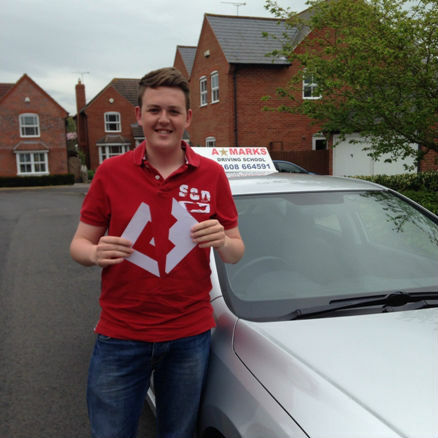 I enjoyed having Mark teach me to drive and would recommend him to any other learner drivers. You were an exceptional driving instructor with the patience of a saint and you stay amazingly calm in challenging situations! I would recommend you to anyone. Thank you for everything! I would recommend Mark to anyone learning to drive, I had never driven a car before and he got me through in less than 2 months ! He is very patient and helpful and easy to talk to! Just want to say your an amazing instructor and thank you for all your help i am really happy that i have passed. I had my lesson with Mark, and I really enjoyed , because he is agreat professional, very honest, a great instructor, especially for me because I am not English which make everything harder. So he knew how to explain to me and teach me. I recommended him as an instructor. 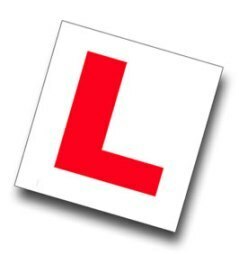 I just thought I would send you a letter to say thank you very much for your patience and knowledge that helped me pass my driving test on my first attempt on Tuesday. I think the professional and easy manner in which you taught me, made this possible. I would like to wish you continued success and I will highly recommend you to my friends and colleagues. I would like to take this opportunity to formally confirm my recommendation of Mr Mark Williams. I find him thoroughly professional. He is punctual, both himself and the vehicle are well presented, he is well prepared, diligent, very thorough in his approach to both paperwork andthe practicalities of the driving instruction, whilst maintaining an easy manner that puts the student immediately at ease.